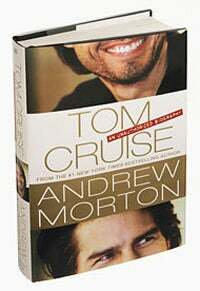 In case you hadn't heard, Andrew Morton's unauthorized biography of Tom Cruise comes out Tuesday. Writers from The New York Times and Entertainment Weekly have weighed in, and the verdict? Don't bother. 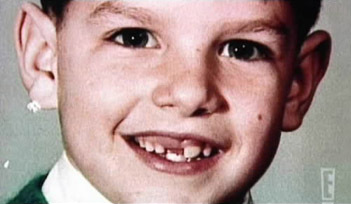 Writes the Times' Janet Maslin: "Among this biography's revelations is the fact that Tom Cruise was a cute kid." Well, holy Xenu. (Also? Cute? Really?) EW's Mark Harris is more direct in his disappointment: "The lack of fresh material is manifest in desperate stretching," he says. Plus, for those who hope that the book will finally reveal that there's truth to the "Tom Is g*y" rumors (Cruise often threatens to sue anyone who even breathes the word "gay" in his direction), no dice there: The book paints him as "emphatically, unremarkably heterosexual" writes Ms. Maslin. A high school girlfriend who hooked up with him in a car swears, "I was black and blue from the gearshift, I can tell you that." As for the Scientology stuff, "biographers do not ordinarily assail their subjects' religious beliefs with impunity," Ms. Maslin claims. But there's plenty about how his wives, girlfriends and the Church of Scientology all seem weirdly linked, if you haven't heard it all by now. But as a whole, the hit on the megastar is, apparently, a misfire. "Cruise emerges from Morton's takedown moderately scratched but as uncracked as ever," Harris explains. The truth is, most people are probably interested in what Tom Cruise is doing right now than what he did 20 years ago, or as a kid. His next couch-jumping episode, new baby (or new wife?) lurks around the corner. So in this age of 24-hour gossip cycles and weekly tabloid coverage, isn't a biography basically just old news?